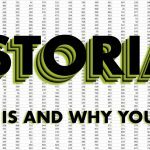 From the time that SCADA systems became popular in the 1960’s, the fundamental architecture has remained largely the same. Similar to the evolution of the automobile – from Henry Ford’s Model T to the 2018 Porsche Cayenne – the fundamental architecture of how a combustion engine vehicle operates has remained unchanged. That is, until the Tesla Roadster was developed in 2006. Tesla changed the entire foundation of electric car manufacturing by redesigning the all-electric vehicle from the ground up. Engineering decisions to eliminate the engine compartment by building the battery pack into the chassis and placing electric motors at each wheel resulted in and extremely fast and agile vehicle with a low center-of-gravity. The XiO has taken a similar approach to redesigning SCADA for the Water Industry. XiO has redesigned the control system from the ground up by eliminating the cumbersome PLC and technical support requirements. 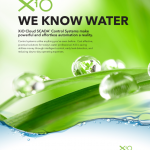 Built in the age of the cloud, XiO Cloud SCADA® Control Systems perform complex control on the ground and communicate seamlessly with the cloud to bring real-time, reliable remote control to all water systems. This fundamental architecture works well but can be extremely expensive to put together. In addition to the components listed, you also have secondary and tertiary costs associated with installing, maintaining, supporting, upgrading, and protecting your system. XiO has effectively redesigned the way that SCADA is manufactured, implemented, and maintained. 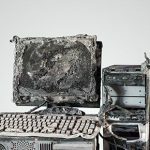 With no PLCs, programming, or on-site software, XiO Cloud SCADA® Control Systems are a unique and affordable alternative to traditional control systems. Learn about our turn-key Cloud SCADA® solutions in our digital handout below or contact our team of professionals and learn how XiO can break the cycle of upgrades and provide affordable, reliable, and intuitive control and automation to your water system.